Your health matters! 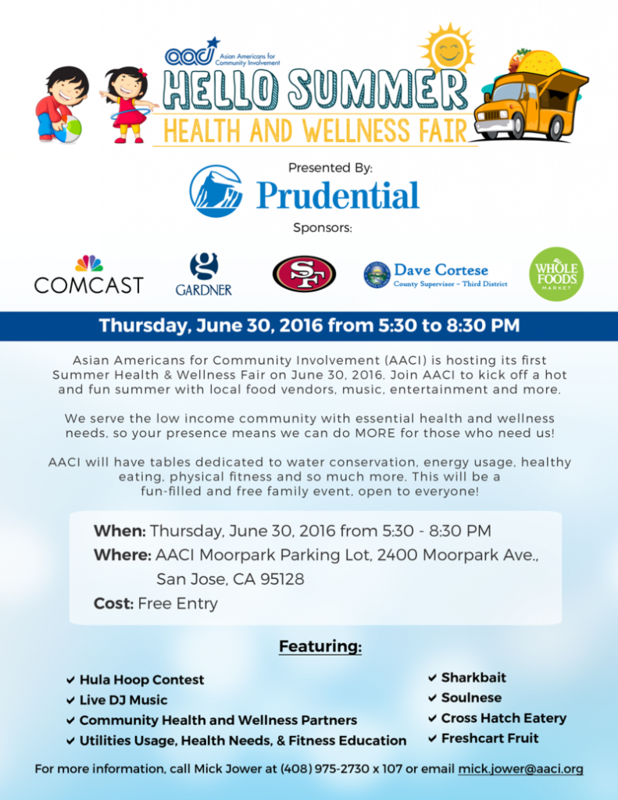 AACI invites you and your family and friends to our first ever Summer Health and Wellness Fair on Thursday, June 30, 2016 from 5:30 – 8:30 PM! True wealth is having a healthy body, mind and spirit. Do something for yourself, come celebrate, feel good and be well! You will not only learn healthy eating and physical fitness, but also about water conservation, energy usage, and much more while enjoying food, music and entertainment! Sounds like fun? Remember, this event is free and everyone is welcome! To RSVP, please visit our Facebook event page.